Τhe luxury steamship “Othon” was built in England upon the command of the king Othon. Following his overthrow, it was renamed to “Patris”. Eight years later, on the night in February 1868, the ship hit on Koundouros reef near Kea island (also called Makriopounta), during its voyage from Piraeus to Syros island. Thankfully the 500 passengers on board survived. The ship wreck remained unknown even to the habitants of the island and was discovered 138 years later! It took more than 30 dives in a 3 years period. The steamship which is 217 feet in length and weighs 641 tones, was cut in two pieces, at a depth between 28 and 54 m. According to Vasilis Mentogiannis, head of the exploration team, it is the first time that this kind of ship is discovered in the Mediterranean! It is interesting to know that the newspapers of the era referred to “Patris” as “one of the nicest, if not the greatest, steamship of the Greek Steamship Company”. The 30 objects recovered from the ship wreck are on display at the Syros Industrial Museum. 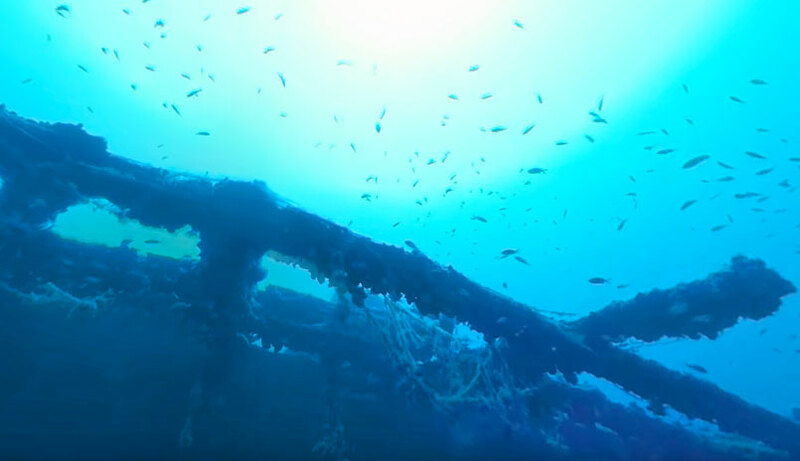 The underwater filming and post production of the 360 ​​video for “Patris” was and remains one of the most important moments of the VR360.gr project. One of the most impressive productions we’ve ever accomplished. We began by testing 360-degree cameras-360 lens systems in swimming pools in order to solve any problems we were about to experience during the dive and continued with an “epic” voyage by Catamaran from Lavrio to Koundouros reef in Kea island. 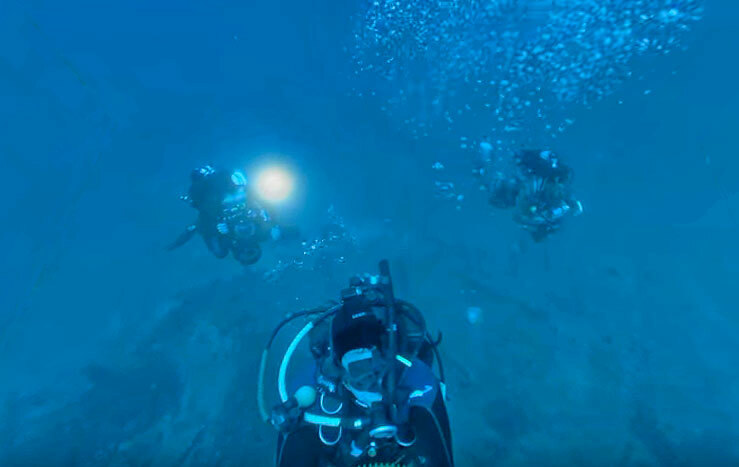 Our diving team, under the guidance and coordination of Vassilis Mentogiannis included some of the most experienced and skilled divers in Greece, having dozens of wreckage records at the Ephorate of Underwater Antiquities. 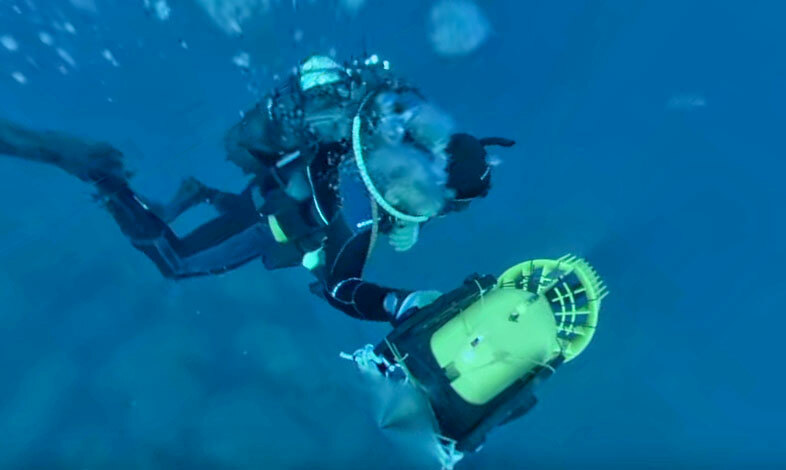 Vasilis and our team had composed a special ABYSS system on a submarine scooter, using a microphone base piece! 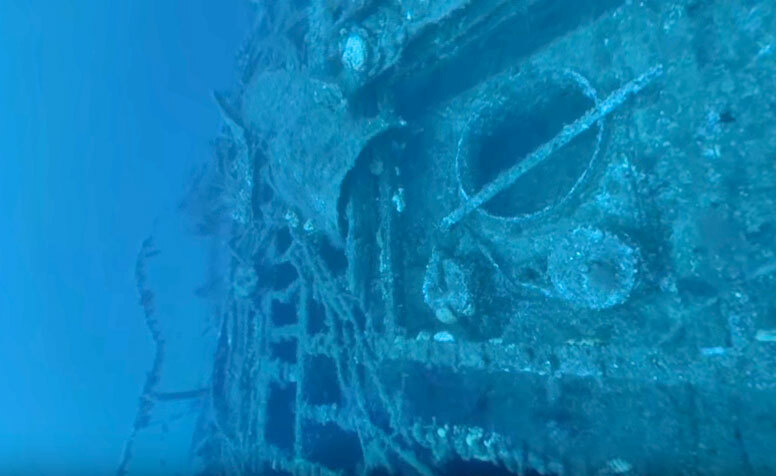 Six divers jumped into the water next to Koundouros reef to find the first part of the marvellous steamer at 28m depth and continued to descend to 55m to meet the second part of the shipwreck. Τhe filming was a success. “Mission accomplished”! 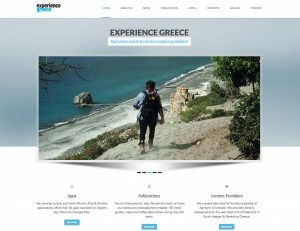 The ship wreck of Patris is the most impressive 360 ​​underwater video VR360.gr has ever produced and we are proud to present it on YouTube. Nothing would have happened without the help of our friends who worked passionately and offered valuable equipment -both for free! First we would like to thank UFR Team and Vassilis Mentogiannis (we are trully gratefull). Next Multihull-yachting.com for the provision of the Catamaran. Our captain and beloved friend, Vassilis Podiadis. Thodoris Pistiolas, talented composer, songwriter and also diver, who created the original music theme of the 360 video. Journalist Vali Vaimaki, who photographed the whole event. 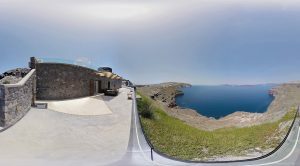 Last, but not least, I would personally like to congratulate my partner in the VR360.gr project, Panayiotis Patsiouras, who spent at least six months of his life …fighting with the awkward AutoPano video and waiting patiently during thousands of rendering hours!